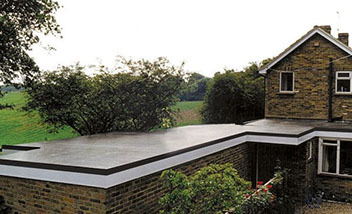 This case study looks at how the complete process of a re-covering a flat roof using RubberBond FleeceBack should be carried out. The project was carried out by Marwood Roofing and included removal and replacement of the old felt roof and re-decking the roof which is only required in cases where the old roofing system has not perform due to poor quality or age. The owners of the property were left with a great looking roof that will last for over 50 years.